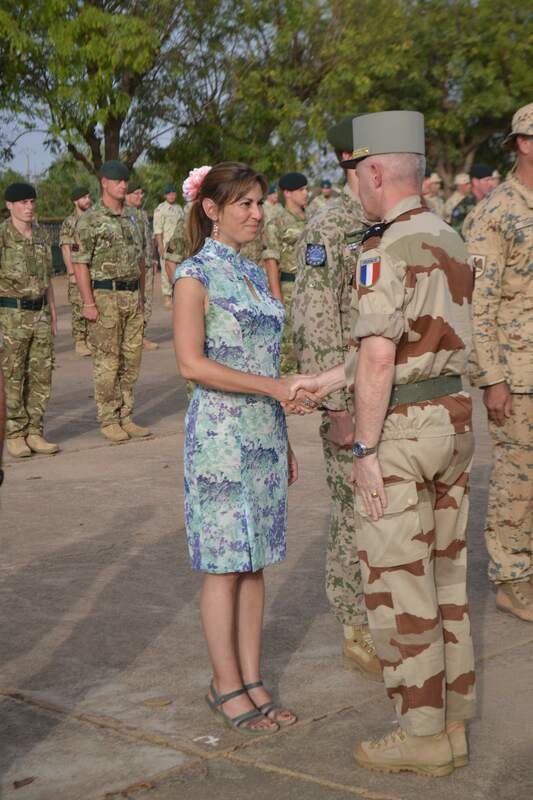 On March 1st, Cynthia Petrigh was awarded the Common Security and Defense Policy medal by head of the European Union training mission in Mali (EUTM) General Guibert, to congratulate her for the good work achieved in Mali. “On behalf of Catherine Ashton, I am awarding you this beautiful and well deserved medal”, said General Guibert. 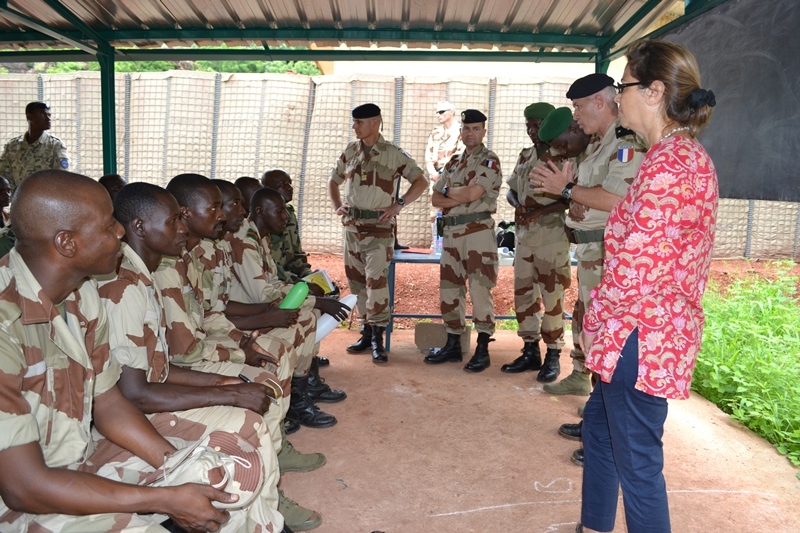 Cynthia is deployed in Mali on behalf of UK Stabilisation Unit since June 2013, to train the Malian armed forces in IHL and human rights as part of the EUTM mission. The mission counts 560 members from 23 European nations, including 190 trainers, all military apart from her.